is the PI institute of IMAGE. Partly together with SGO, FMI operates TAR, NUR, HAN, MEK, OUJ, PEL, MUO, KIL, IVA, KEV and MAS. participates in the technical service of the northern stations. Since August 1, 1997, Sodankylä is organisationally a separate unit of the University of Oulu. of the GeoForschungsZentrum Potsdam was previously responsible for most of the routine processing of the data. was the original coordinator of the project supplying the instrumentation to six northern stations (PEL, MUO, KIL, MAS, KEV, SOR). operates 14 stations in the mainland and Svalbard (AND, BJN, DOB, DON, HOP, JCK, KAR, LYR, NAL, NOR, RVK, SOL, SOR, TRO), and also participates in the maintenance of MAS. is operating the Hornsund station (HOR) whose data have been included in the IMAGE data since October 1993. In 2015 the stations Birzai (BRZ) and Suwałki (SUW) were included in the IMAGE network. at Apatity operates the Lovozero station. A fire destroyed the first station in January 1995, and of the first observation period there are good data available only of October-December, 1994. Lovozero has joined IMAGE again in January 1996.
provides data of Kiruna from the beginning of 1996, and from Lycksele since July 1998.
joined IMAGE in January 1998 with the observatories Abisko and Uppsala. 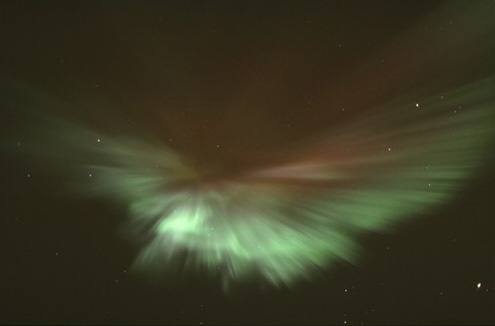 Since 2006 SGU is in charge of the geomagnetic recordings in Lycksele.